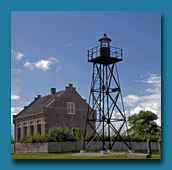 The project focused on preserving and promoting the Schokland UNESCO world heritage site. Promotional activities have been carried out with a view to attract more visitors and provide increased revenue for the local communities. There has been a great deal of investment in Schokland - an UNESCO world heritage site - in recent years, mainly aimed at preserving and protecting it. However it is also important to improve the site's attractiveness to tourists so as to provide local development opportunities. The Flevoland province and the municipality of Noordoostpolder have jointly developed a development plan agreed with the local community. The objective was to improve the promotion of the Schokland world heritage site and provide visitors with more facilities and services. This was aimed at increasing the number of visitors and therefore provide local communities with increased revenues linked to tourism activities. Main activities focused on improving the website www.schokland.nl and producing promotional folders in Dutch, English and German languages. Additionally, the world heritage site was promoted via TV spots, the press and the Internet. Bicycles were purchased to be rented to visitors and a bicycle shed was built. An extensive promotional campaign about Schokland has been carried out during 18 months. Public awareness activities have been organized and tourist agreements made specifically targeting 50-year old or more visitors. An increase in the number of visitors has been recorded but so far not to the extent that was hoped for (i.e. 10% or more). The positive relationship between efforts in tourist promotion and number of visitors has proven not to be as expected, probably due to a dramatic fall in the number of visitors between 2009 and 2010 which needed to be redressed first.